Animation Magazine at Parovoz studio! 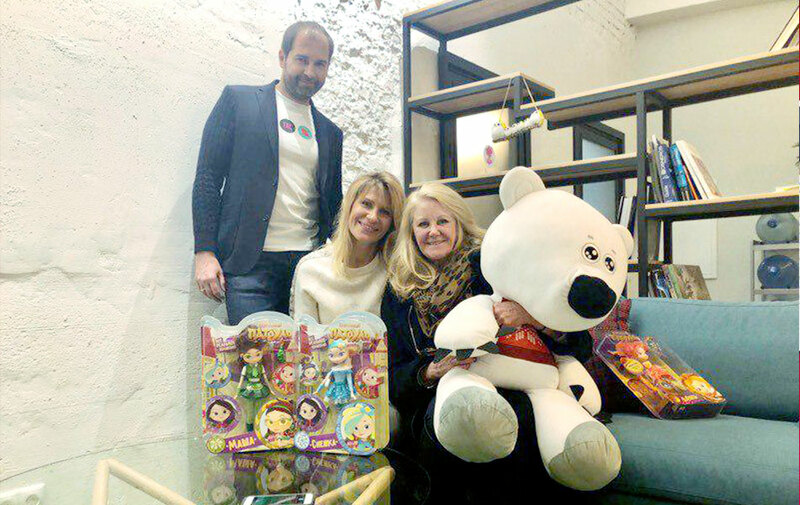 The VIPs of animation industry visited Parovoz studio. Among the visitors were: Jean Toren, the president of Animation Magazine, one of the most famous animation periodicals. Catherine Bransom, president of Branscome International, one of the most popular independent distributors promoting animation all over the world. Valerie Criton, president of the Canadian Media Fund that has been supporting media projects for over 35 years. And also Irina Mastusova, executive director of Animation Film Association. Our guests got to know more about our projects, took a walk around the studio, oversaw the work process and were presented with Fantasy Patrol dolls.